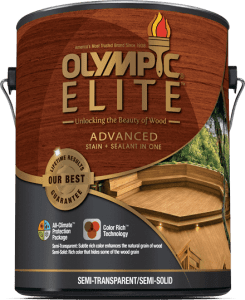 OLYMPIC MAXIMUM Deck, Fence & Siding Semi-Transparent Stain provides a subtle color that allows wood’s natural grain and texture to show through. 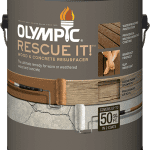 Core-shell hybrid resin technology provides deep stain penetration, waterproofing, and UV defense to strengthen, protect and condition wood fibers, ensuring the wood’s natural beauty lasts. Recommended for use on properly prepared exterior wood, including decks, fences, siding, railings, outdoor furniture, and other wood surfaces. 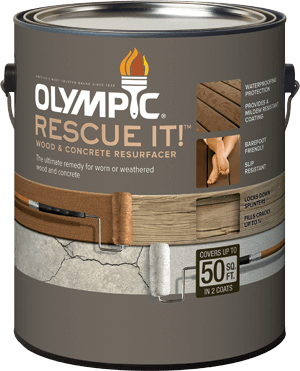 – The Olympic Maximum Stain + Sealant in One is a water based acrylic oil hybrid. What that really means is that it is a waterborne stain. 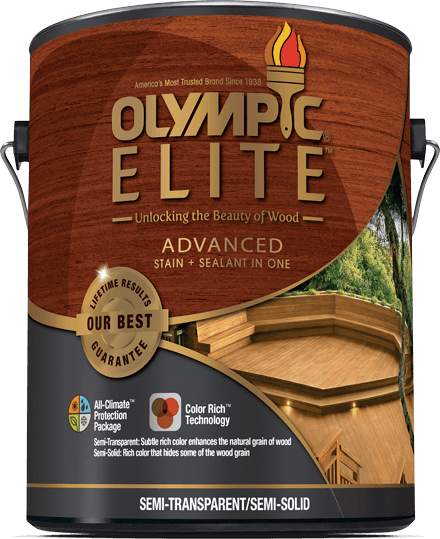 This stain applies like the majority of water-based stains in that it is a film-forming stain the does not penetrate into the wood deeply. The appearance of the Cedar natural tone on the deck was a mild orange color. 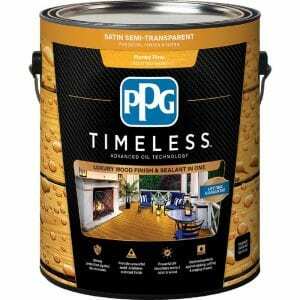 We applied evenly but the final look was uneven as some of the stain dried into the wood and some did not. – This stain had worn about 50% on the surface and handrails. Not a very good showing here.